Our first meeting with Safetyboss was to discuss new business development initiatives, such as email marketing, telesales and direct mail. 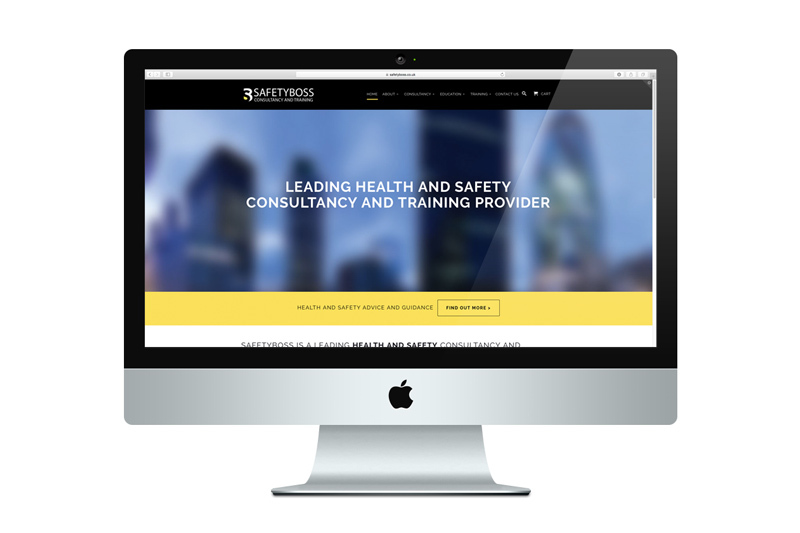 However, there was a small issue that we had to diplomatically address – that while Safetyboss might well be one the best health and consultancy and training services providers in the UK, their branding and website was letting them down. They simply did not look the part. 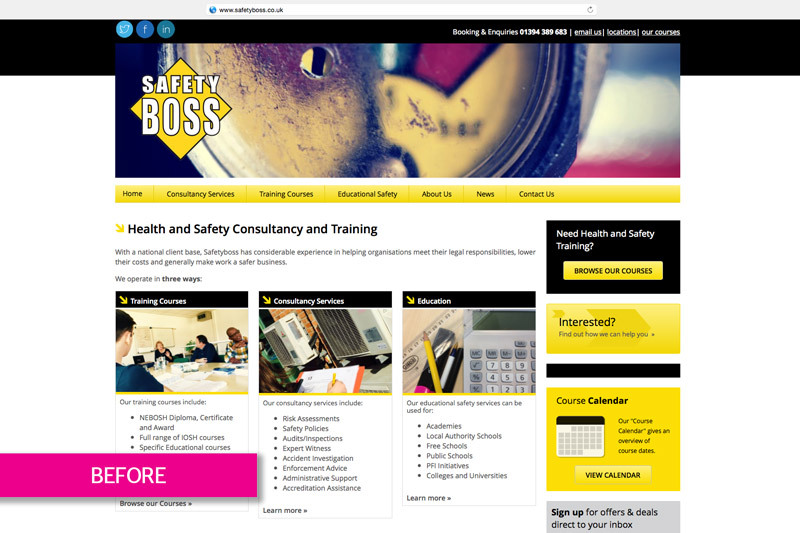 Upon such candour a sound business relationship was born… and Safetyboss commissioned Silver Monkey to undertake a complete rebranding exercise on their behalf, as well as deliver a new e-commerce website through which they could take bookings for training courses. This project has been a fantastic success. The team at Safetyboss were great to work with, and we thank them for the faith they showed in us. Their new visual identity is bold, striking and represents a marked departure from where they were previously. The website is clear, user-friendly and professional, unpretentious yet confident. It is rare to see such a personable, confident and conversant Marketing company as the team at Silver Monkey. I have been incredibly impressed with their technical knowledge, fantastic copywriting and ability to understand our client’s needs. They took the time to understand Safetyboss and created a vision which reflects how we feel and how we want to be perceived by our clients and partners. They exceeded all expectations, and went above and beyond to create a website that is professional and user-friendly. I have no hesitation in recommending Silver Monkey Marketing to anyone. Not only did Silver Monkey create us a beautiful, user-friendly website, they went above and beyond to support us with all our additional needs. If you are looking for a fresh approach to marketing and someone who will take the time to understand your needs, do not hesitate to contact the Silver Monkey team. 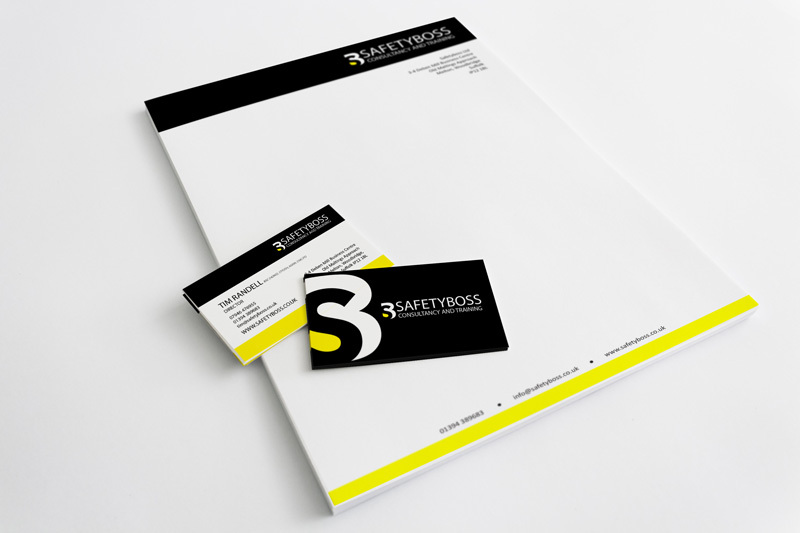 Safetyboss is a leading health and safety consultancy and training company.